She bought them for my oldest nephew, who was then just a toddler. 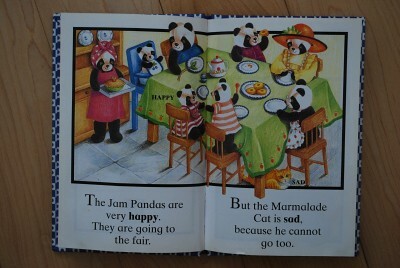 He LOVED the Jam Pandas. Even though we only visit them three or four times a year, I had probably read each of these a hundred times before we had kids of our own. His younger brother loved them too. 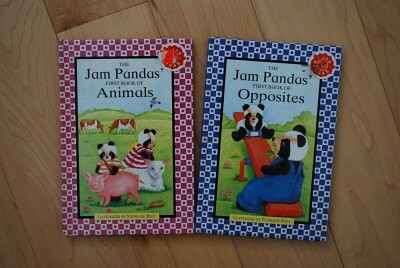 When our kids came along, they always ran to get the Jam Panda books out as soon as we arrived at Ba’s house. The last time we were there, my mother-in-law suggested we just take them home with us. 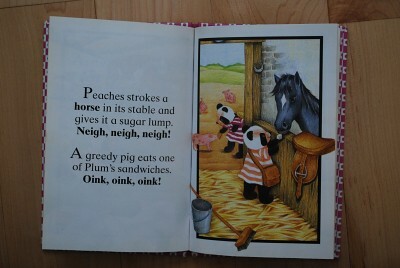 Naturally they have become Little Miss Sunshine’s preferred bedtime books, especially the animals one. We read it every night. The weird thing, though, is that all of the kids in our family love these books despite the HORROR AND TRAUMA. When my SIL tried to take my oldest nephew, AvidReader, to the zoo when he was around five or six, he absolutely refused. He cried and cried and would not go. Why? He was terrified that the elephants would spray him. It took years before we figured out where he had got this idea from, and even more years after that before we could convince him to go. I think he still gives the elephants a wary glance and a wide berth when there. 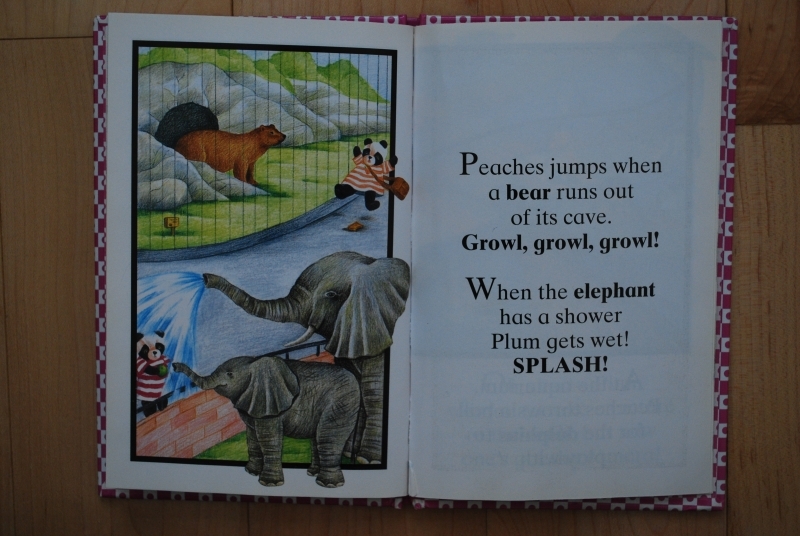 I love that the growling bear (and a roaring lion from the previous page) didn’t phase him, but the idea of getting a little shower was terrifying. Kids. 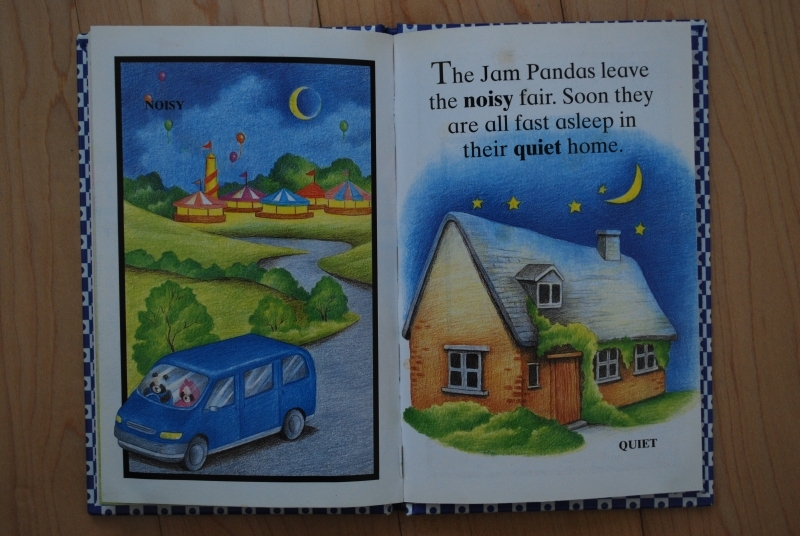 The problem here is that the text implies that everyone is at home, sleeping, but the Mommy and Daddy Jam Panda are clearly driving AWAY from the house. Try as I might, I cannot convince my older two kids that this is meant to be two different pictures, one of them leaving the fair, and one of the peaceful house with EVERYONE inside. 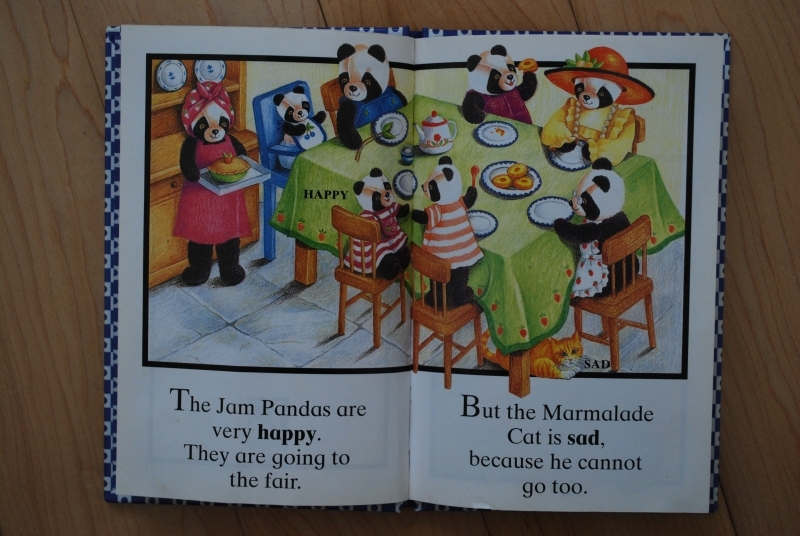 Rather, they firmly believe that Ma and Pa Jam Panda came home, put the kids to bed, then made a run for it, NEVER TO RETURN. 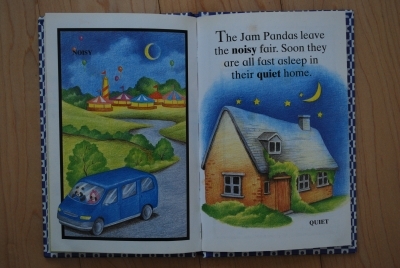 Every time we read this book (which is often), I have to reassure them at the end that the poor Jam Panda children will not wake up in the morning to an empty house with no one to take care of them. EVERY TIME. Yet they still ask for this book over and over. Maybe it’s the reassurance they are after. 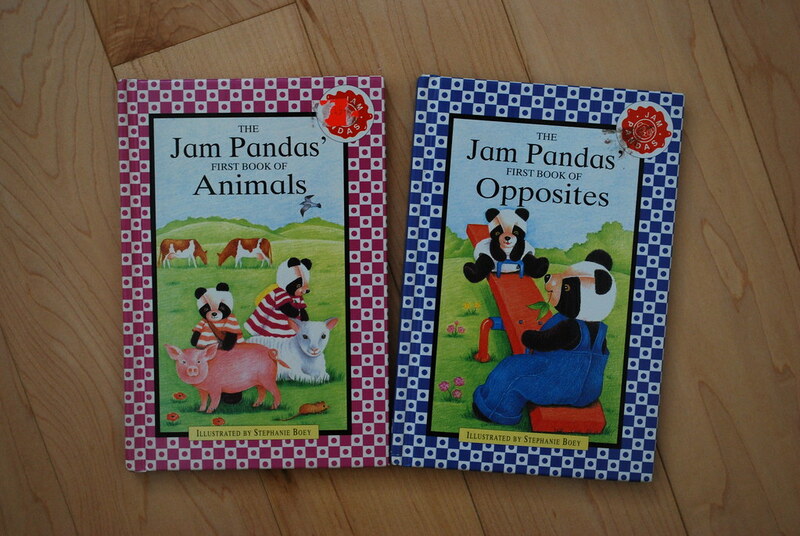 Apparently there are two other Jam Panda books — one on shapes, and one on weather. Maybe I’ll search for them on eBay…but then again, maybe we’ve already had all the trauma we can handle. I think what we have here is an early example of the desire of humans for excitement from fright. 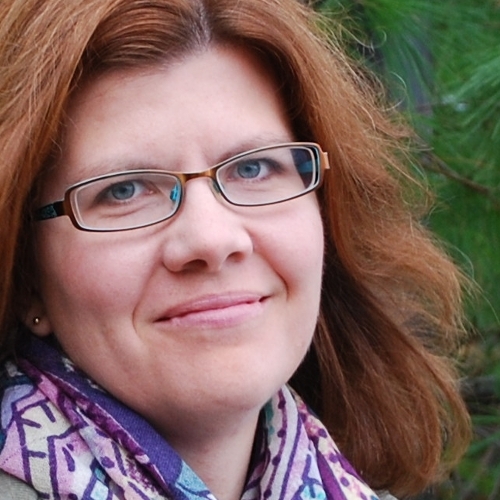 As adults, we seek out daring thrills: rollercoasters, scary movies, extreme sports… maybe adrenaline is experienced by kids in the same way, and although stuff is scary, it’s exciting, too. Unlike dangerous stuff like jumping off the roof of the house, which is clearly something little kids wouldn’t want to do just for the thrill (can’t say the same about some teenagers), reading a “scary” book might be irresistible in some way. lol. i love fame_throwa’s comment too. 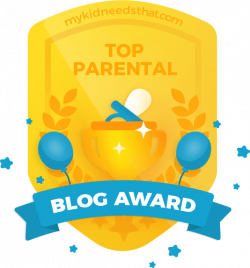 kids just get their kicks from the oddest things don’t they? 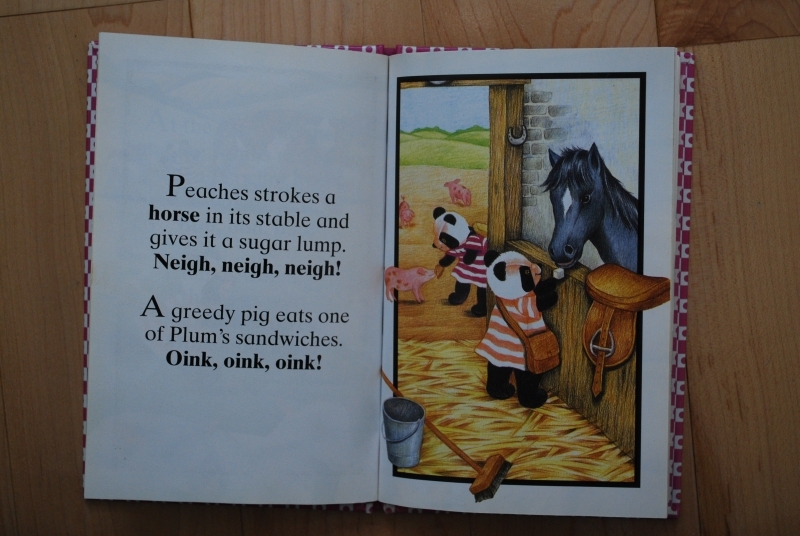 We have the Jam Pandas book of Colours.